Depending on the situation, the term “background music” is not always the most complimentary. For some, describing anything as background music means it’s boring, forgettable, doesn’t really stand out, etc. However, for Christmas music, it takes on a whole different meaning, and one that’s actually good. For most, part of celebrating Christmas and the holidays means setting a festive mood both in and out of the home. This includes putting up Christmas lights outside, decorating in the house, baking cookies, putting the tree up, and so on. Music is also a big part of Christmas, obviously. In fact, some may argue that it’s the most vital part of the holidays. What’s Christmas without Christmas music? You can have a room without any decor, but throw on “White Christmas,” or “Let it Snow,” on the stereo, and suddenly everything feels a little different. ​The fact that you can have all this great music for under a dollar makes it an essential purchase for the holidays in every way. ​With Christmas music, sometimes just having it on in the background is enough to get the desired effect, creating a festive atmosphere. But here’s the thing with Christmas music: there are a lot of different kinds. There are infinite versions of the same song. Some loud, some quiet, some even obnoxious at times. If you’re trying to create some nice background music, sometimes an orchestra version of “Jingle Bells” is a lot better than the same song sung by a children’s choir. If you’re having people over for a Christmas dinner, classical versions of Christmas songs are almost always the best way to go. Classical music already evokes a sense of calm and sophistication, something that’s perfect when having dinner guests. Combine that vibe with familiar Christmas tunes, and you’re all set for the ideal Christmas dinner. This route leaves you with a few different options. You can find a few classical Christmas albums to queue up, but you’ll have to worry about changing the album every now and then. You could try to make your own playlist, but that’s a tedious process than can take way too long. Fortunately, 100 Must-Have Christmas Dinner Moods (Beautiful Christmas Instrumentals) does all the work for you. With 100 tracks, you have more than enough music to last throughout your dinner or event, without the need to curate the playlist, or change albums mid-sentence. With this compilation, you can simply turn it on, and let the music fill the room for hours. This album features a ton of recognizable classics, spanning everything from songs you’ve known since you were 5 years old, to advent hymns, and songs from musicals like The Nutcracker. Regardless of what’s playing, you still get a soothing, calm, and elegant classical sound that’s ideal for entertaining. 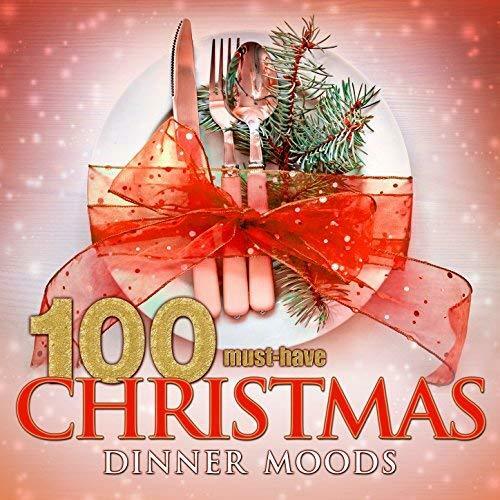 100 Must-Have Christmas Dinner Moods (Beautiful Christmas Instrumentals) is simply an incredible value. First of all, you get 100 songs. One-hundred. This totals out to over five full hours of unending music. It’s like getting 10 albums in one purchase. The variety of songs represented is impressive as well. ​​​​One of the best aspects about this album is the many different groups and composers, many of them among the most renown in the world. ​​​​​​​​As you can see, not only is there a large variety in regards to types and styles of Christmas music, you also get a lot of different approaches and takes from some of the best musicians and composers on earth. The album itself flows well from start to finish, although many of the traditional songs are towards the beginning. To remedy this, just put the album on random or shuffle to get more of an even mix. Either way, you’re still getting five incredible hours of non-stop Christmas music that covers a ton of favorites, while retaining that timeless classical sound throughout. In other words, the perfect background music for your Christmas dinner. With that said, this compilation is great for more than just hosting a dinner. The calming, festive sounds are ideal for a number of other activities and situations, like wrapping presents, cooking, decorating, or reading a book by the fire. Anytime you want the sounds of familiar Christmas songs in a classical and consistent format, put this album on. The only place you can find this album is on Amazon. Now, you’re free to download each track on it’s own for $0.99 per song, or you can just buy all 100 songs for…$0.99. That’s right, you can get all 100 songs for just under a dollar. This is one of the best music values you’ll ever see. And as with most music on Amazon, if you have an Amazon Music Unlimited subscription, you can stream the album for free. 100 Must-Have Christmas Dinner Moods (Beautiful Christmas Instrumentals) is much more than just a great value. This is really more about the song selections themselves. These 100 songs comprise a flawless playlist that not only gives you 5 hours of classical Christmas music, but 5 hours of good classical Christmas music.